Think of it this way: A link is almost like a referral or recommendation — another site trusts your information enough to link to it. So, the more authoritative the source of the link, the better that looks for your site. By now, we’ve all heard “content is king” ad nauseum. It’s a cliche because it’s rooted in truth—content plays a crucial role in any digital marketing strategy. If you’re developing relevant, actionable content that benefits your target audience, you’re undoubtedly creating pieces that your readers will find valuable. But if you leave search engine optimization (SEO) out of the picture, your content is doing only half the work it’s capable of doing. Here are the ways in which content marketing and SEO should complement each other, along with tips on how to incorporate these insights into your own strategy. There’s an inherent reason why content and SEO are so closely linked; content is one of the primary search engine factors, according to Google. Think about the point of SEO from Google’s perspective. They want users to find the information they’re looking for, and if you want to rank for a certain query, you need to fill the need and offer that high-value information. You need to earn enough authority as a site and as a brand for people to trust in what you’re saying, as well. So really, if you don’t have good content, the SEO work you’re doing might be useless. Conversely, if your content is well-thought-out but you haven’t thought about SEO at all, it may fade into the ether after a week. Conversely, content can have a big impact on SEO success, which is what this post will explore in depth. If we could merely rely on SEO tactics to rank in Google, then keyword stuffing and spammy links would still work. Typically, the more unique domains linking back to your website, the higher your website will show on the results pages. But it’s not just the number of links leading to your website that matters. The authority of these sites is important too. A link from a high-authority website is more valuable than a link from a low-authority website. The value of an individual link is affected by another factor — its link type, AKA, whether the link is a dofollow link or a nofollow link. While acquiring many dofollow links from high-authority websites will send good signals to Google, you also have to be careful when using this strategy alone. Google’s algorithms are extremely sophisticated, and they are always on the lookout for backlinking tactics that try to game the system. A varied link portfolio is natural, and it shows search engines that you are securing links in an organic way. This is a best practice for link building and will help you show higher on SERPs. Strategy Takeaway: Focus on acquiring links from a variety of high-authority websites using organic methods, like pitching newsworthy, data-driven content to publishers. Google wants to ensure the best content about a topic appears highest in the search rankings. So, create the high-quality content it wants to see. Valuable content is original, readable, well-researched, authoritative, and relevant to your website. There are certain metrics Google examines to determine if your content is relevant and valuable. Two of these include bounce rate and time on site — two metrics you can see in Google Analytics. Basically, if someone clicks on your content and immediately leaves because it’s not what they were looking for, that contributes to a higher bounce rate. Then, the less time spent on a page, the less likely it was to be valuable to the reader. Ongoing off-site and on-site content marketing efforts create a continuous lift in organic traffic over time, and successful viral content marketing campaigns create a “rising tide” of traffic for the whole site as you can see in the chart below, illustrating one of our client’s results. To do this, your strategy is key. A well-rounded content marketing campaign focuses on content on your website as well as others. Part of your strategy should include getting your content published on other websites and mentioned or covered on other websites. When this happens, you create opportunities to build backlinks as we mentioned earlier, which build the authority of your site. Then, as your site’s authority builds, the more likely it is your site will rank for other content and keywords because your overall reputation has improved. Additionally, when your content is mentioned or published on websites with large audiences, the readers are directed back to you which provides a rush of referral traffic to your site. Our case study on our The Perceptions of Perfection campaign is a good example of how all of this works together. For the campaign, we published the story on the client’s website. The write-up included an original library of images that were Photoshopped by designers in 18 different countries. We then approached high-authority websites to see if they would be interested in covering the story. Because our concept was emotionally driven, focused on a popular topic, and full of powerful, shocking graphics (AKA, great content), websites were quick to write about the topic. High-authority sites with large audiences – such as Mashable, BuzzFeed, and The New York Times – covered the story, which led to coverage by many other publishers. The project was included on almost 600 unique websites. Our client received 700,000 visitors to its website within five days of the campaign’s launch. That’s the short-term benefit of getting referral traffic from the media coverage. But, because we built so many strong backlinks, organic traffic would improve over time, as well. Organic traffic takes longer to grow, but it is a strong strategy that has long-term benefits. It has real, lasting power that will work for your website for years to come. Strategy Takeaway: Don’t just focus on keyword-driven, on-site content; if you need more and better backlinks, create newsworthy content you can pitch to sites to acquire links/coverage, thus bolstering your site’s authority and building traffic. As you can see, everything is interconnected. Don’t underestimate the power of an SEO content strategy. Content can do a lot of the heavy lifting when it comes to achieving SEO results, so remember that when you’re crafting your next strategy. 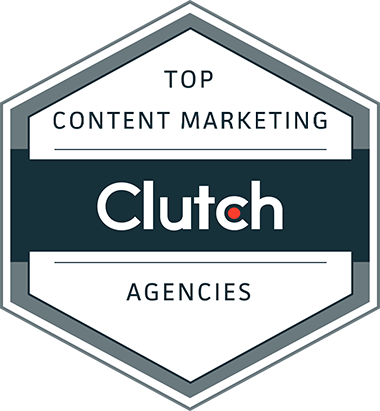 Want to see more examples of how we have helped clients substantially grow their organic and referral traffic through content marketing? Check out our collection of client case studies.